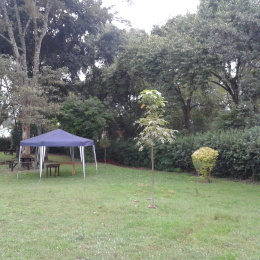 Quiet and serene environment, security very good with ample parking space. We specialize in pizza and offer indoors and outdoor activities. We also offer massage and equally organize game drives and camping for our guests. Our meals are wow! Be our guest and you will tell the rest.